You don’t legally have to insure your house, as Canadian law doesn’t mandate that you do so. But you’ll probably want insurance even if you don’t have to have it, because it can protect you financially if things go wrong. Whether it’s water damage, or something that was caused by faulty wiring, bad plumbing, or a related issue, having home insurance can mean the difference between having your home repaired or having to walk away from the house you love because you can’t afford to get it fixed. The replacement value of your home isn’t necessarily what you paid for it, or what it’s assessed at for tax purposes. It doesn’t even take into account the market value of the house. Instead, replacement value is what it would cost, in today’s money, to rebuild your home with current codes, standards, and material requirements. Some may want to cut costs by avoiding this, but it’s very important, and is one of the best types of insurance to get in order to make sure your investment is protected. Much like the inspection is looked at as necessary as time has gone by, many home buyers are starting to realize that they would prefer to have their home insured to protect themselves from the unexpected. You should know everything that’s in your home so you can replace it if there’s a disaster and you need to make a claim on your insurance. It’s important to keep that in mind anytime you buy anything new. All the little things in your home really add up, so don’t discount them as being unimportant. Also make sure anything with serial numbers or other identifying information is properly recorded, so you can prove what you had in the house when a claim is made to your insurance company. You can also take pictures and a video with a time/date stamp, and keep that information in a safe place for your records. If you’re displaced from your home, your living expenses could be paid while you wait. That means time in a motel or even rent on a apartment or another house. It also means bills, food, and necessities. While there are generally limits to how much insurance will pay toward living expenses, it’s often enough to live comfortably until your claim has been processed and your house has been repaired. That can be a real financial life saver when you’re struggling with damage to your home and wondering where you’re going to go while everything gets sorted out. It can provide strong peace of mind, as well. What Happens When Someone Gets Hurt? If someone is injured on your property, you could be sued and have to pay their medical expenses. With home insurance, you’re protected in most cases. You won’t end up having to pay out of pocket, and the insurance company will take care of paying the claim from the injured person. The insurance company will also look at the claim carefully and determine whether the person is actually injured, along with considering the true value of the claim being made. That way insurance costs hopefully stay low for everyone, you’re protected, and anyone who’s truly injured on your property can get the financial help they need so they can recover. 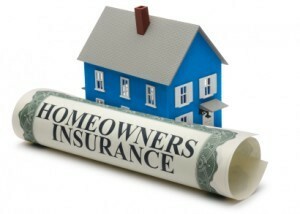 It’s a good situation for everyone involved, and one you can only get through proper home insurance.